Help! My neighbor is being too noisy. – Superior Management inc.
Help! My neighbor is being too noisy. 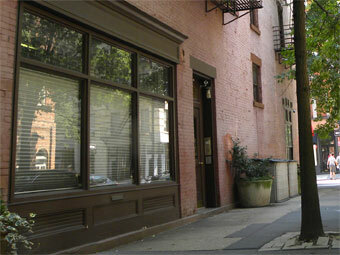 Superior Management Incorporated is committed to maintaining buildings that all tenants can enjoy. This sometimes means balancing the right of one tenant to enjoy the ordinary use of their apartment against another tenant’s right not to be disturbed by noise. Generally speaking, any preventable, persistent, and excessively loud noise is prohibited. For instance, if the noise is caused by footsteps, this is would be an ordinary, non-preventable source of noise and is permitted. Most of our buildings were built in the 19th century, and unfortunately, moderate impact noise is a reality of brownstone living. Noise may be mitigated by carpeting. We ask that you please be mindful of your neighbors. Your neighbor may be unaware of noise he or she is unintentionally creating, a problem which may be resolved simply by notifying your neighbor. If the noise is jumping up and down to exercise videos, this would be a preventable, excessive, and prohibited source of noise. If the noise is caused by your neighbor’s television usage, depending on the loudness and hours of operation, this could be either a prohibited or a permitted source of noise. We suggest that you politely notify your neighbor of the activity disturbing you by word of mouth or a polite note. If this fails, you can request that Superior Management Incorporated write a letter requesting that your neighbor keep noise to a minimum. Email [email protected] to request a letter. Legal action is a last resort measure, reserved for the most uncooperative tenants. You will be asked to fill out an affidavit if you wish to take legal action against a neighbor.